Grenada is accessible from major international cities including Miami, New York, Atlanta, Toronto, London, Frankfurt, Porlamar and the Caribbean. For the first half of 2015, four thousand (4,000) more persons travelled to the tri-island state with notable increases from the United Kingdom (8.6%), the United States of America (11.5%), Trinidad & Tobago (8.9%), and Venezuela (67.6%). The months from November to April typically record the highest visitor arrivals, causing some airline carriers to seasonally alter their schedules to fit this travel trend. Air Canada’s weekly service on Mondays from Toronto, Canada, will be suspended during the months of September and October, and will resume on 2 November. It is expected that a second flight will be added to Air Canada’s weekly schedule during the month of February 2016. Caribbean Airlines’ flights from New York and Toronto will connect through Piarco International Airport, Trinidad, from 9 and 14 September respectively. This new flight schedule will facilitate daily one-stop connections from Toronto and New York, and twice-weekly one-stop connections from Orlando FL, USA. “Grenada has been performing well in terms of visitors arrivals. This is seen particularly in the USA, our largest source market where JetBlue Airways and Delta Airlines have sought to increase airlift in the upcoming months. With the various airlift options being explored by the Airlift Committee and our continuous destination promotions, we anticipate continued growth in visitor arrivals for the second half of 2015,” said Mr. Rudy Grant, CEO of the Grenada Tourism Authority. On 15 September, JetBlue Airways will add a third weekly flight on Tuesdays to Grenada from New York, USA. Delta Airlines’ seasonal service from Atlanta GA, USA will resume on 19 December with three weekly flights. Seasonal flights from Frankfurt, Germany on Condor Airlines will recommence on Thursdays from 5 November 2015, and will end on 7 April 2016. 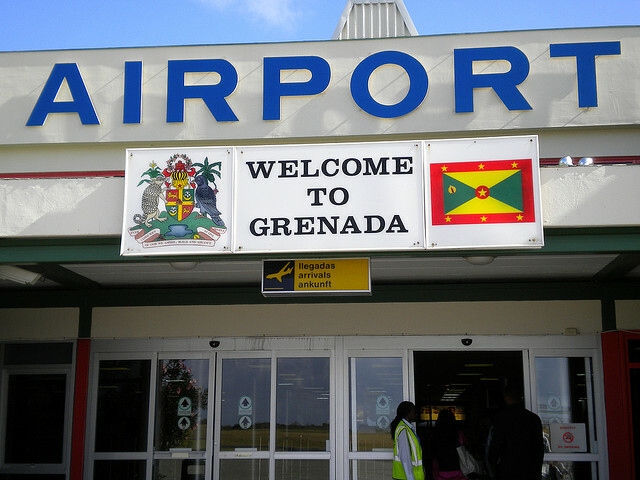 The Grenada Airlift Committee is presently exploring options to enhance Grenada’s airlift out of Toronto and New York. The GTA is committed to collaborating with the Airlift Committee to ensure that there are effective, efficient, and affordable airlift options from the major source markets, while it promotes the destination of Grenada, Carriacou & Petite Martinique.